Kristen Blush is a senior freelance photographer based in New York City with over 15 years experience in commercial photography and photojournalism. www.kristenblush.com. Photo by Sung Park. 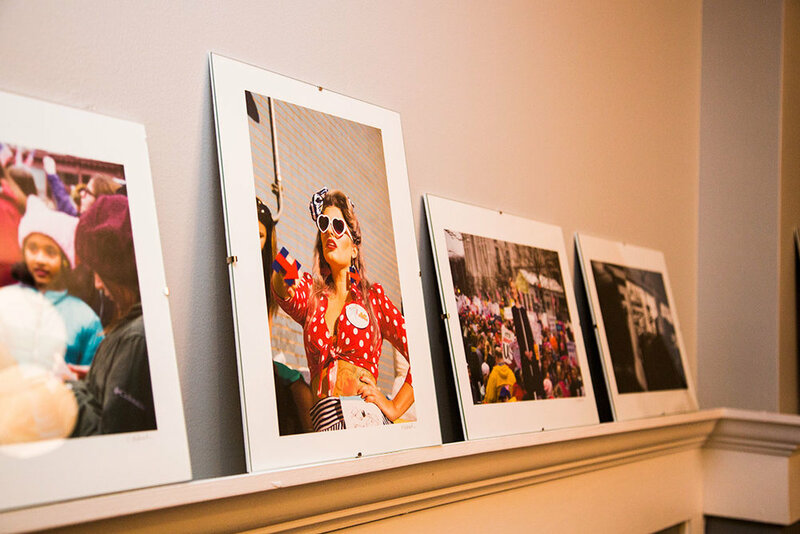 'The Revolution Is Female' is a photographic art show by New York City Photographer, Kristen Blush. 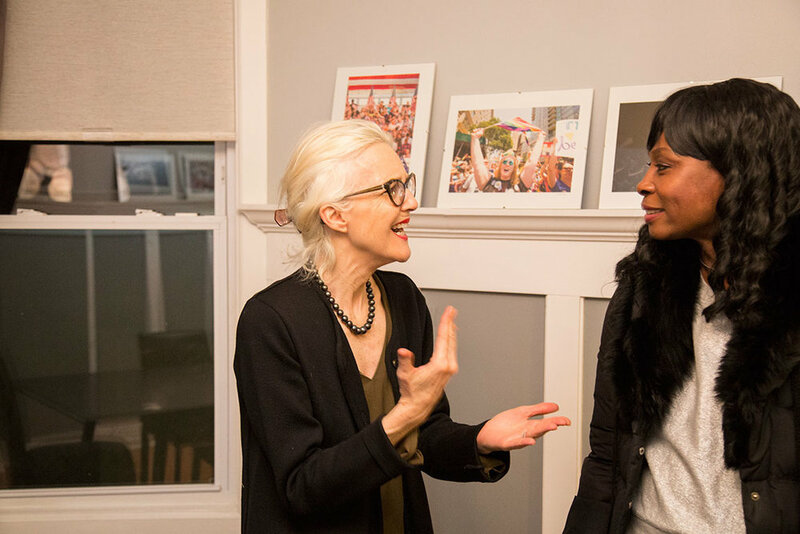 Blush photographed events during the election in 2016 through the lens of an impassioned Hillary Clinton supporter. 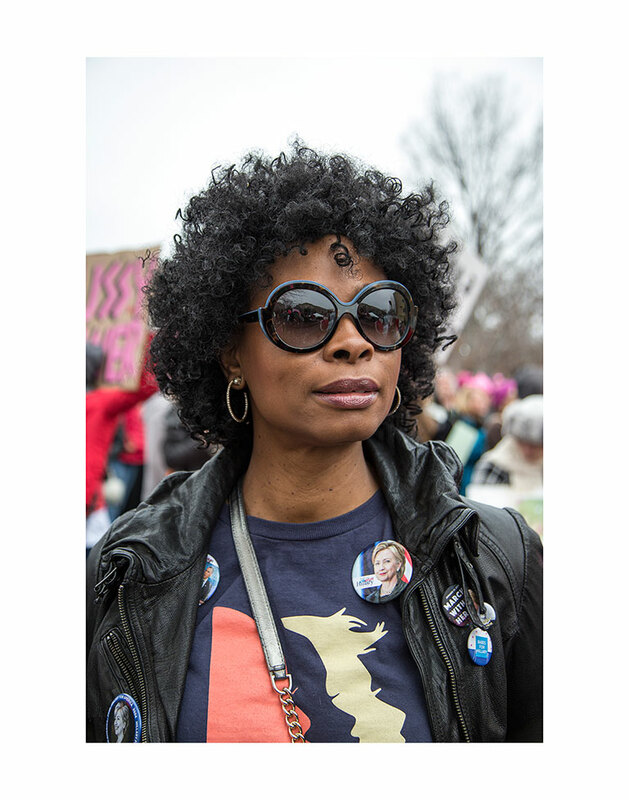 She continued her support for the Secretary during the Women’s March in Washington D.C. as well as co-founded the Hillary Clinton Brigade, formerly known as the "Babes For Hillary". This show was part of the Ditmas Art presentation on December 16, 2017, and selected images are available for purchase in our shop. 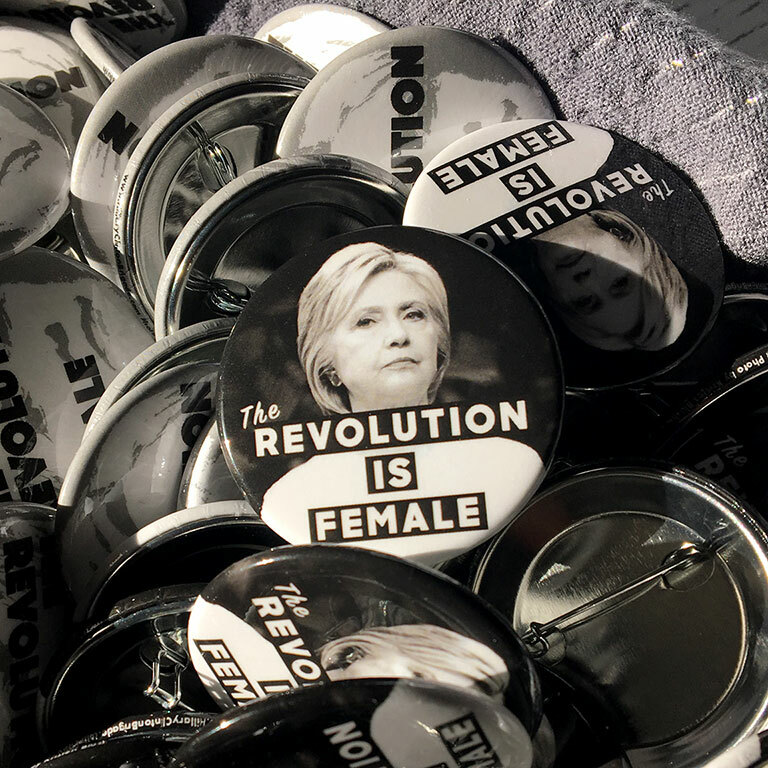 Your purchases help fund the HRC Brigade blog, buttons, and sign making parties. Many thanks to all who attended 'The Revolution Is Female'. Please email: Kristen@KristenBlush.com with any inquiries. 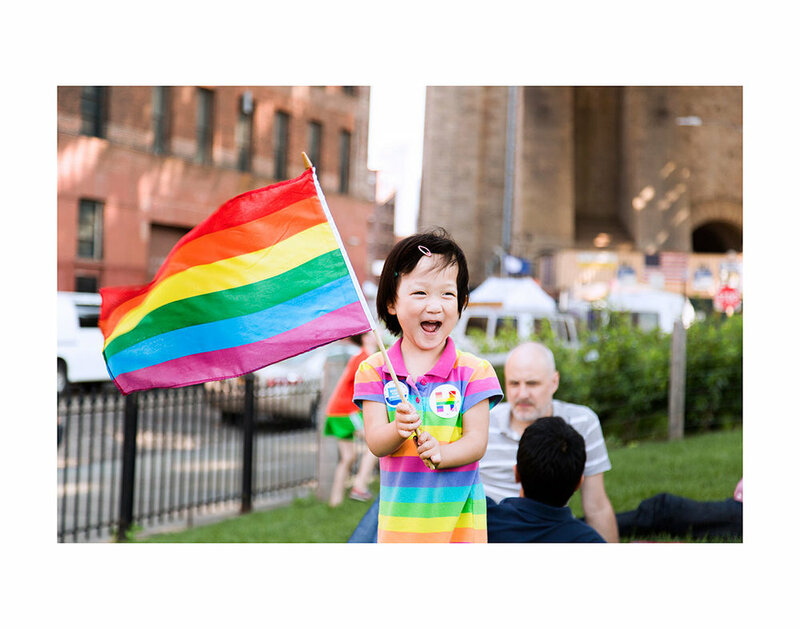 The Revolution Is Female: Photographs by New York City Photographer Kristen Blush. On display here is Kristen's long-time friend Kindra Meyer on Election Day at the Jacob Javitz Center. Members of the Hillary Clinton Brigade, Ella Frederick, Racheal Barasch, and Susan McMillan admire a photo of themselves participating in the Women's March on Washington, D.C.
From left to right: 1) Fans celebrate Hillary's Democratic Primary Victory at the Brooklyn Navy Yard, 2) a woman marches with 'Hillary For America' in New York City PRIDE Parade, (featured in Time Out New York!) 3 and 4) Hillary Clinton delivers a speech at Brooklyn Navy Yard, June 7, 2016. Hillary Clinton framed to perfection at Rutgers Univeristy in Newark, New Jersey. 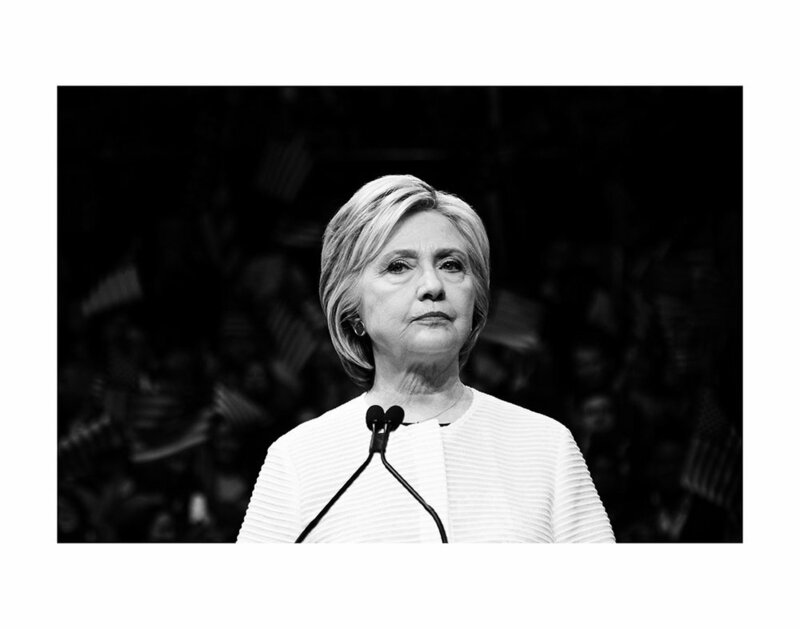 A determined Hillary Clinton, at the Brooklyn Navy Yard, sits in solidarity with the empowered Susan McMillan at the Women's March on Washington, D.C.
Alexis Quinlan and Susan McMillan discuss art and politics. 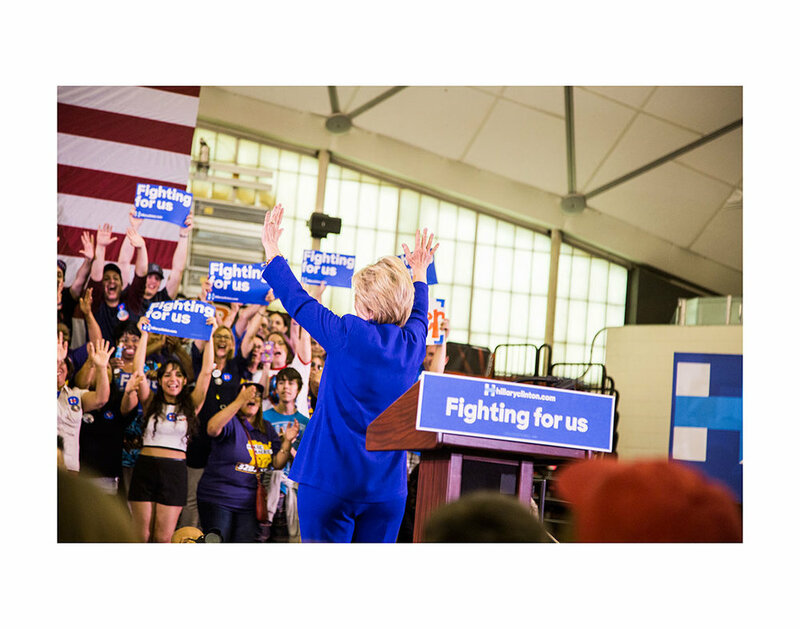 Congrats to Linda who won the Hillary Print raffle that helped raise funds for The Gender Equality Law Center. 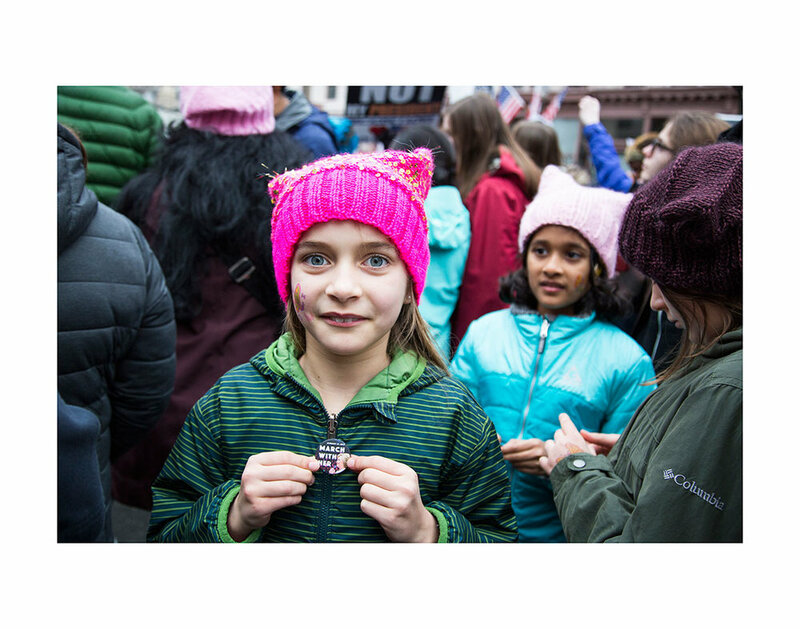 Hillary inspired women and girls of all ages to march in the Women's March, January 21, 2017. A very special guest, and our smallest member of the Hillary Clinton Brigade, Lee Frederick. Guests received these free buttons featuring original photography by Kristen Blush. Now available in our shop! Jan 17 Join us at the Women's March NY this Saturday! Sep 26 HILLARY RECEIVED HER COPY OF THE REVOLUTION IS FEMALE!